This is an original mandala drawn just for this site! I have an idea on how to expand this site to be more inclusive of my fellow Mandala/Coloring enthusiasts. :) Over the next week I'm going to work on building a gallery of original downloadable mandalas to share with you. The one in this post will be the first, and I will encourage you to send me your colored version so I can put it here. I was super excited about coloring this and I knew exactly what color scheme I wanted to use before I even printed it out. I love blue/green/purple as a color combination and I knew this would be the perfect mandala for that. 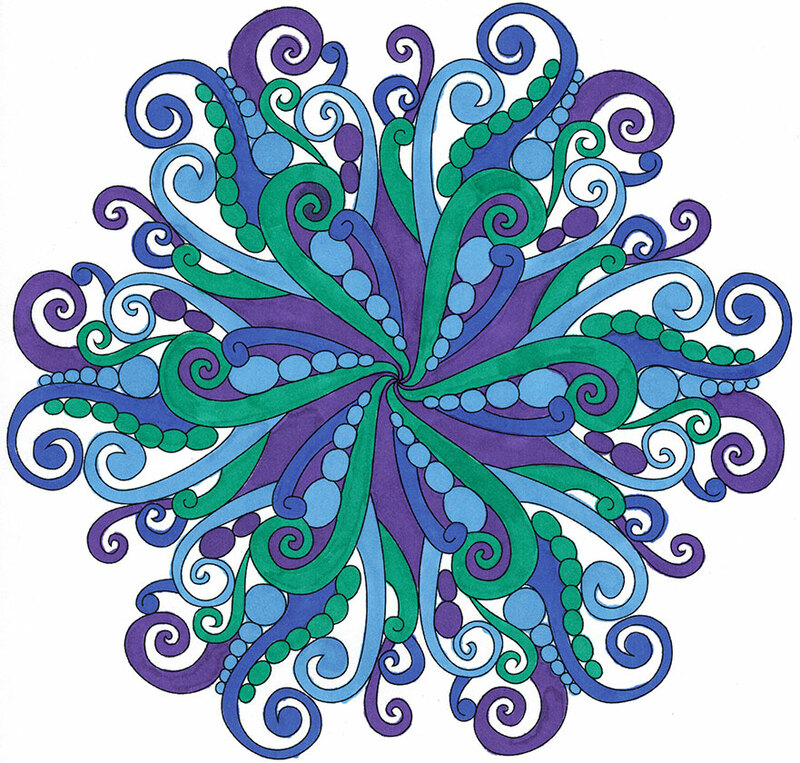 They remind me of the ocean, and this mandala reminds me of an octopus. I used Prismacolor Premiere Markers on regular print paper.